While searching for a shot in Virginia, I about ran off the gravel road when I came across this barn. Mother Nature was doing her thing with the beautiful clouds while I was getting my camera in place. 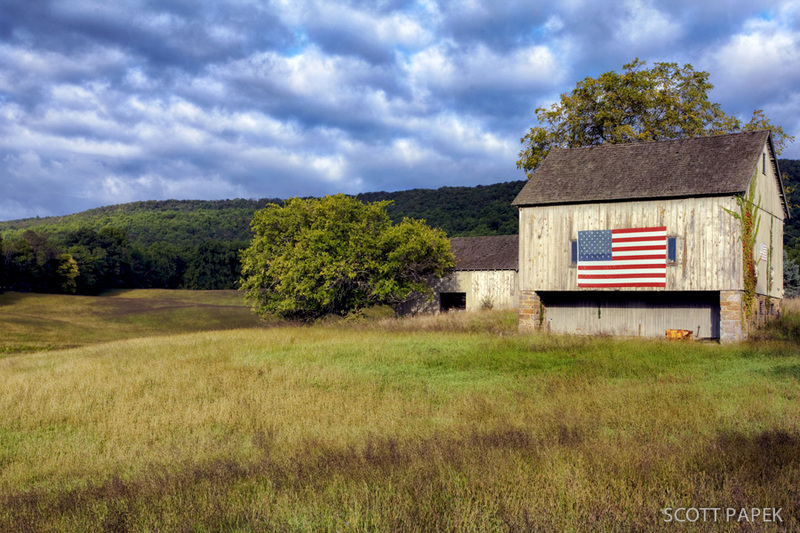 You could feel the pride with this old barn as it displayed the American Flag. Photo © copyright by Scott Papek.